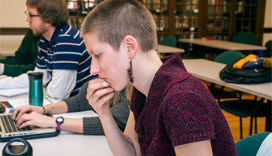 Eden Theological Seminary is a graduate school preparing women and men for ordained Christian ministry. One of the six seminaries of the United Church of Christ, Eden is a community committed to fighting for the greater good across the globe. Eden welcomes everyone, regardless of denominational ties, identity, orientation, class, or background. 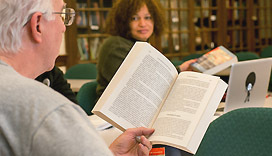 Eden offers a variety of accredited degree and non-degree programs suited to your calling. Student success is our top priority—we’re focused on providing diverse perspectives, hands-on experience, and leadership skills. We’re here to support and encourage our students’ passions towards creating a stronger common good for the future. At Eden we’re committed to providing a religious education that is global in scope but intimate in setting. 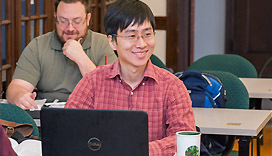 Students live, learn, and worship alongside classmates from diverse backgrounds and denominational roots, gain a viable career path through mentorship from our experienced faculty, enjoy easy access to the entertainment and culture offered by St. Louis, all while building lifelong relationships rooted in Christ. Click here to learn more about our Spiritual Care, Spiritual Direction and Spiritual Directors. Eden Theological Seminary was established in the summer of 1850 in Marthasville, Missouri, to fit the needs of frontier churches. These Evangelical congregations required better-educated pastors, who were less focused on European traditions and more suited to North American religious life. An ecumenical spirit lies at the heart of Eden, the seeds of which were planted from the very start. 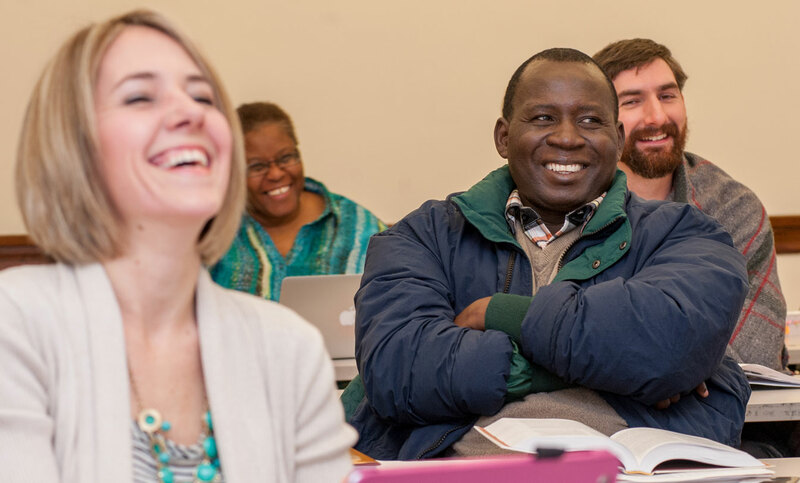 A Methodist and Mennonite joined six Evangelicals to form the very first graduating class of Eden. The hard work of that first class laid the foundation for Eden to branch out west of St. Louis, serving more frontier congregations and in turn recruiting new students who discovered their own calling. Since then, Eden has actively pursued the progressive Christian movement. To fit the growing urbanization of the country, Eden moved to the outskirts of St. Louis in 1883. 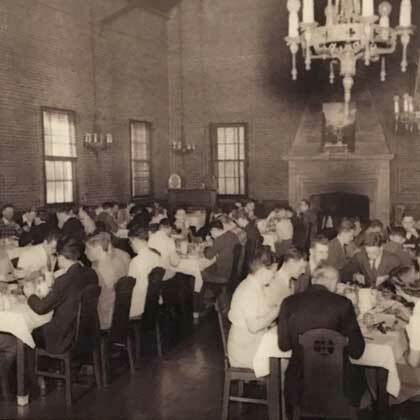 The Seminary’s first African American student enrolled in 1933, and the next year Eden merged with Central Theological Seminary and Oakwood Institute of Cincinnati, Ohio, forming an Evangelical and Reformed denomination. 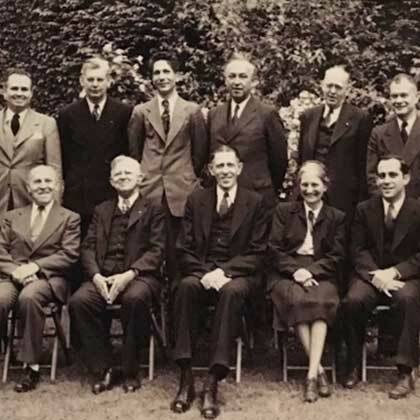 Eventually this partnership and a continued focus on ecumenical discussion, conversations which included Eden President Samuel D. Press, lead to the formation of the United Church of Christ in 1957. 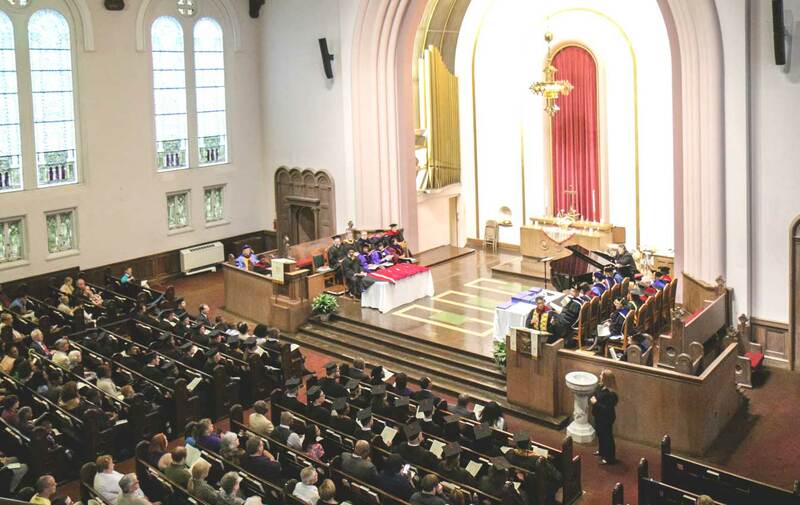 In 1965, Cardinal Joseph Ritter of the St. Louis Archdiocese was the first Roman Catholic Cardinal to address a Protestant Seminary graduating class. 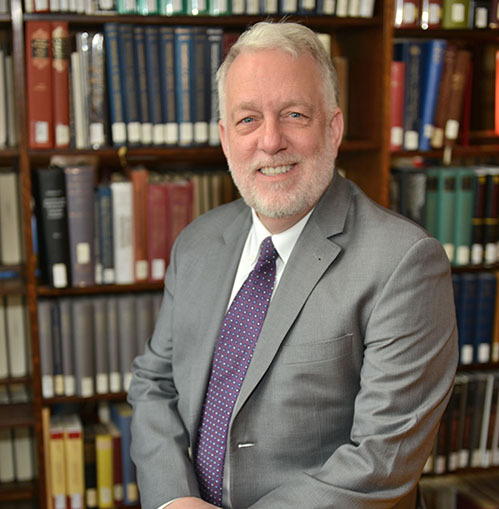 Now and throughout its history, Eden affirms that Christian faith and critical scholarship are compatible and dedicated discipleship is neither alien nor hostile to the truth of love. Faith is nurtured and openly affirmed at Eden, and we feel these discussions will serve us well into spreading the greater good into the twenty-first century and beyond.